Join our week long Summer Camps for 4-13 yr olds, ending with a show on the last day! Camps are one week long and run Mon-Fri. See below for our 2019 camp themes and to sign up! 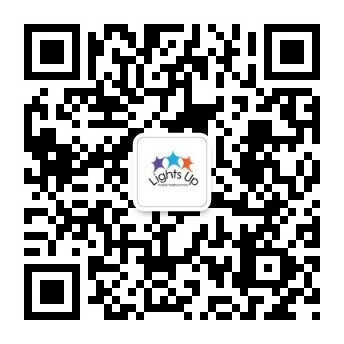 Children and teens can sing, dance and act during school breaks at Lights Up Camps. All camps end in a performance for family and friends on the last day. We offer half day programs for children ages 4 to 6 and full day options for students ages 6 to 13. Camps are open to everyone between 4-13yrs, students are split into working groups dependent on age. No prior musical theatre experience is required! 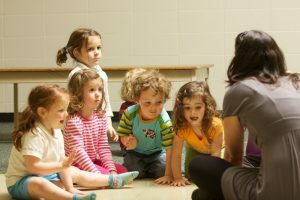 Like all Lights Up programs, our camps teach children to work in teams, build confidence, sing, dance, act, and have fun. * Please note that 6-year-old students can choose between half and full day options. Sing! Dance! Act! Is your kid Broadway bound? This week we will explore classic musicals that everyone will love. Get your jazz hands ready and join our kick line! The spotlight is waiting, so get ready for a week of fun with our favourite musicals. School’s out for summer, and we all need a magical Nanny to brighten our days! 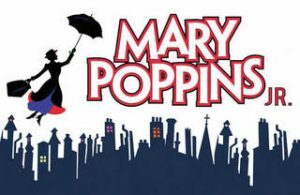 In this camp we will explore fantastical characters and worlds through songs, dances and scenes based around Mary Poppins. Let’s go Fly a Kite and have a Supercallifragelisticexpialidocious week! Put on your dancing shoes! This summer we will be singing, dancing, and acting to musicals inspired by pop hits through the ages. With songs from musicals such as Mamma Mia, Footloose, Glee, and School of Rock! P.T Barnum the creator of Barnum and Bailey’s Circus has inspired more than one movie musical including Barnum and The Greatest Showman. This week we will explore the lives of the fun and interesting characters you find under the big top through singing, dancing and acting. Love singing and dancing to the music from your favorite animated movies? This summer we will sing and dance to favorites such as Frozen, The Lion King, Toy Story, Beauty and The Beast and more as we act out our own fabulous live musical performance. 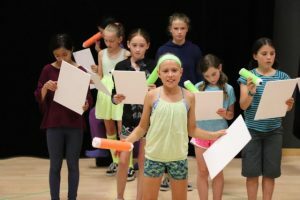 The ‘Summer Show’ Two week Intensive – Mary Poppins Jr.
Our 2 week “Summer Show” camp provides and exciting opportunity for Lights Up students to involve themselves in the production of a full book musical. This year’s show will be Mary Poppins Jr. 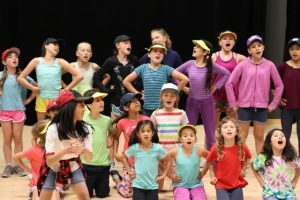 This camp will culminate in a short-ticketed run in a professional theatre space at The Historic Theatre @The Cultch. Students wishing to attend the summer show intensive camp will need to take part in an audition held at one of our schools. Please ‘contact us’ for audition details. **The “Summer Show” camp is open to current Lights Up students only, between 8 – 16yrs. Students need to be attending our weekend programs to be eligible to audition for Mary Poppins. **Siblings receive our reduced sibling rates! $175 half day & $300 full day. ***Sign up for multiple camps and receive reduced prices for the 2nd and subsequent camps! $175 half day & $300 full day. $50 deposit is required to book your camp through the website or over the phone, discounts are applied by Lights Up after sign up, confirmation will be emailed to you.